Our selection of clear plastic trash can liners includes low and high density options, depending on how much strength and flexibility is required to effectively hold the waste produced by your business. Low density bags have thicker gauges and offer the most durability and puncture-resistance, making them great for heavy-duty trash. 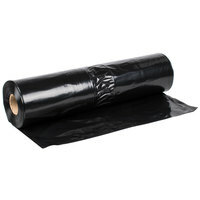 High density bags on the other hand, are better suited for lightweight trash in your office building or restroom. 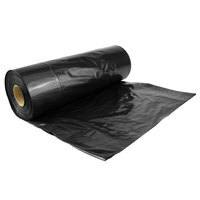 You’ll also find specialty bags for use in your medical facility, warehouse, or eco-friendly establishment. Also make sure to check out other great items from Lavex Industrial, Lavex Janitorial, Li'l Herc, Berry AEP, Bobrick and Inteplast Group. 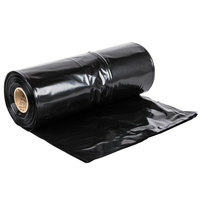 By stocking up on these wholesale garbage bags, your establishment’s cleanup process will be much more efficient. Not only will these garbage bags ensure waste is contained and stored in one place, but they’ll also protect trash cans from sticky substances, stains, and odors. We carry bags for almost any application, from foodservice to construction, so you can maintain a clean, safe, and sanitary work place. For other trash disposal supplies, check out our trash cans and recycling bins, feminine hygiene dispensers and receptacles, and hotel room trash cans. 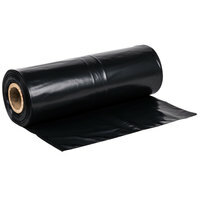 If you're wondering where to buy lavex industrial trash can liners / garbage bags, we have a large selection of lavex industrial trash can liners / garbage bags for sale at the lowest prices.